I started and ended the year with a grim interoffice memorandum—The Senate Intelligence Committee Report on Torture, which I read as a PDF when it was first released almost exactly a year ago, and then as a thick paperback from Melville House purchased at a local shop that otherwise only sells poetry and small press literary. Maybe that’s why I read the report as government verse. Invisible literature of a corporatized state, a text that shares more with J.G. Ballard’s Atrocity Exhibition than any documentary expose—549 pages of short numbered fragments composed in lawyerly cryptomes, powered by the narrative negative space of national security redactions, and by Talmudic annotation with 2,725 footnotes, each of which also works as a freestanding narrative fragment. An executive summary of an even-longer work we will likely never be permitted to see, the Torture Report is best read (or more easily endured) in fragments—bureaucratic cut-ups from the first-person point of view of a nation-state acting out its feelings in response to existential threats it cannot really understand. 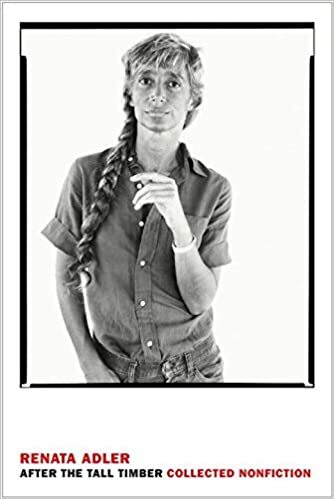 Speedboat, Pitchdark, and After the Tall Timber, by Renata Adler. When Mad Max and Furiosa finally found the silver-haired Vuvalini trying to carve a utopian political experiment out of the post-apocalyptic landscape, something about them made me think of Renata Adler. The way they riffed sixties feminist iconography, and the embrace of the personal as political, but also just the way they reminded me of the famous Richard Avedon jacket photo of Adler with valkyrie braids and sharpened mind. After the Tall Timber collects Adler’s nonfiction, following New York Review Classics’ recent rerelease of her innovative novels, Speedboat and Pitch Dark. Adler’s journalistic analytics are penetrating and still germane—like Joan Didion with a law degree—and her fictions have an astonishing freshness. Speedboat’s fragmentary field notes from the seventies are network-culture ready, profoundly resonant across the decades. Who Owns the Moon? by Virgiliu Pop. An obscure tome of space law by a Romanian aerospace bureaucrat is not a likely find on a year’s best list. Especially when it doesn’t provide a definitive answer to the question the title asks. I read widely in that arcana this year, even before Matt Damon proclaimed himself the pirate lord of the red planet in The Martian, working through the applied science fiction of what happens when the Anglo-American technology business reaches escape velocity. I also read from Ashlee Vance’s biography of Elon Musk, devoured all the corporate brochures I could get my hands on at Houston’s first-ever space business expo, and digested the text of a brand-new enactment of federal law that grants American companies property rights in minerals they extract from heavenly bodies. The two space operas I read this year can’t compete with real-world capitalists in space for the generation of extrapolative wonder. The Nostromo is coming into range. “Pandoric Dystopias in Latin American Science Fiction: Gynoids and Virtual Women” by Teresa López-Pellisa. Right after I saw a screening of Ex Machina, a noble attempt at a realist science fiction of the immanent now, I had the good fortune to hear Barcelona’s Teresa López-Pellisa present her research on the persistent archetype of the artificial woman across time and cultures, from Galatea to Adolfo Bioy Casares. And a week later I learned very similar things from Daniel Mendelsohn’s essay “The Robots are Winning!”—rooting Ex Machina and Her in the mechanical women Hephaestus sweats over in The Iliad. While these pieces only scratch the surface of a deep meme, they flag what should be obvious issues that merit greater attention—like the way gender plays out in fictional depictions of technological servitude. And as the technology business story begins to emerge as a genre in its own right, informed by science fiction but not necessarily of it, pieces like this are important models for efforts to situate seemingly sui generis works like the latest Steve Jobs biopic or Joshua Cohen’sBook of Numbers—the story of a guy ghost writing the memoir of a search engine tycoon—in a deeper cultural and critical context. This was also the year I learned Fassbinder made cyberpunk, before the term existed, for West German television, and it was every bit as cool as it sounds. 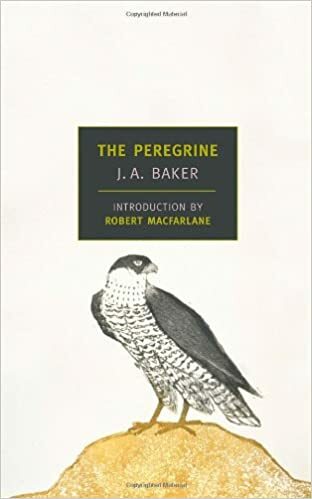 The Peregrine, by J.A. Baker. These lyrical field notes of a dying man watching raptors kill in the Sebaldian country of eastern England in the mid-1960s was the most beautiful nature writing I found this year. Baker had an incredible gift for tagging and tracking individual birds, and terrific power at succinctly articulating their wonder. The journal bathes in subtextual melancholy, accreting field notes of minimal variation to find that glimpse of transcendence, where attention to the natural world yields the liberating obliteration of self. Baker’s beautiful fatalism somehow speaks to the now, even as it aids escape. Among other natural wonders, I also discovered Rebecca Solnit’s amazing A Field Guide to Getting Lost this year, and Borderlands, a monograph of the photographer Eirik Johnson’s incredible portraits of the American edgelands. But the two books that taught me the most about twenty-first century nature were new works of technology criticism. Tung-Hui Hu’s A Prehistory of the Cloud roots the ether of information networks in physical space, starting with the revelation that much of the fiber-optic conduit of the Internet lies buried in the railroad right of way that opened up the American continent (many of which routes no doubt follow more ancient migratory trails). 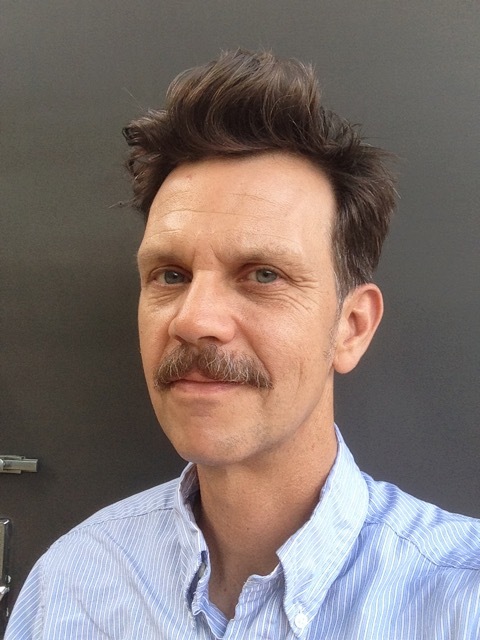 Jussi Parikka’s A Geology of Media spelunks the strata of extractive consumption—metal, chemical and mineral—underlying the conjured cloud of cyberspace. While these are theory-laden academic works, by showing some of the ways in which the study of technology can also be Anthropocene ecology, they may be the most important nature books of the year. Christopher Brown writes science fiction and criticism in Austin, Texas, where he also practices technology law. 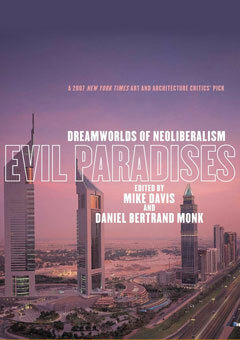 His stories frequently focus on issues at the nexus of technology, politics, and economics. He was a 2013 World Fantasy Award nominee for the anthology he co-edited, Three Messages and a Warning: Contemporary Mexican Short Stories of the Fantastic. More at christopherbrown.com.